Description : Here we have an authentic Manny Pacquiao autographed 'Boxing News' publication which covered the final bout of the trilogy between himself & Mexican legend, Eric Morales. The battle took place on November 18, 2006. 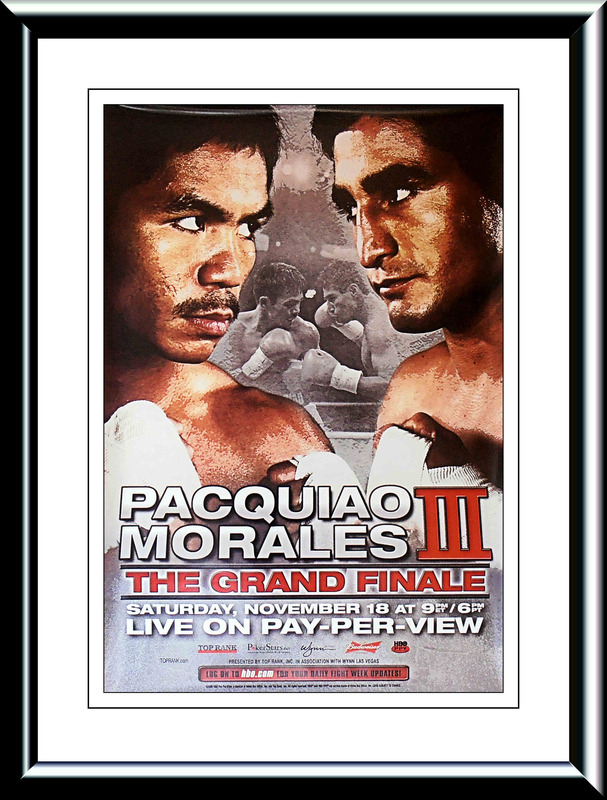 Witnessed by a near-record crowd of 18,276, the match saw Pacquiao defeat Morales via a third-round knockout at the Thomas & Mack Center in Las Vegas. 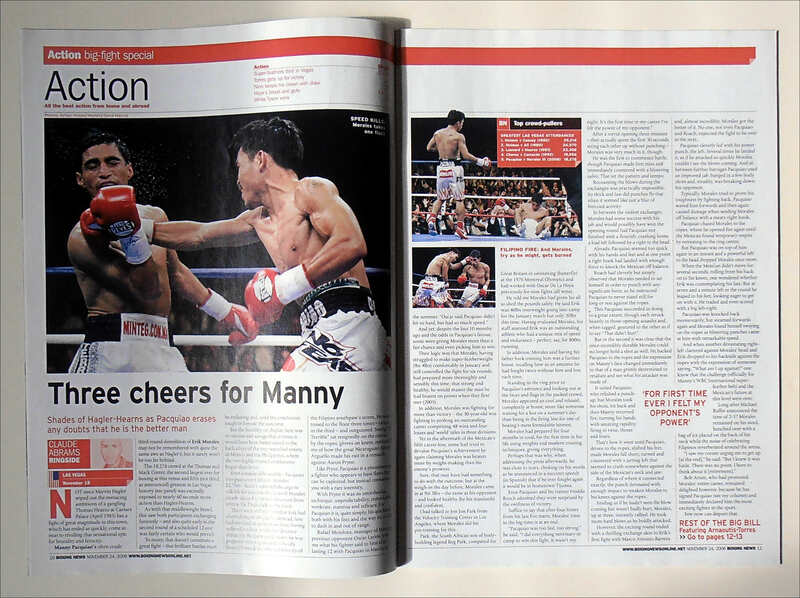 This 'Boxing News' publication was exclusively signed by Manny Pacquiao at one of his chain of sports stores in Manilla, Philippines. This Manny Pacquiao signed Boxing News publication will come with a COA from Team Pacquiao & an LOA lifetime & beyond guarantee of authenticity from ourselves here at KOfightposters.